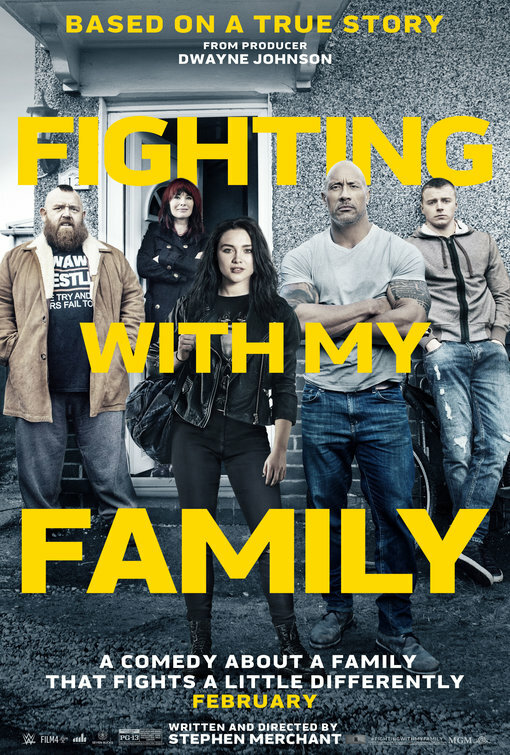 Based on the true story of WWE superstar Paige, real name Saraya-Jade Bevis, Stephen Merchant and producer Dwayne “The Rock” Johnson took inspiration from Paige’s real life and the documentary series about Paige’s family to make Fighting with My Family. Being a wrestling nerd myself, I have been looking forward to this since it was announced, and hearing the good word of mouth, I was fully ready to really enjoy the film. That said, whether or not you know Paige’s story or not, you’ll walk out appreciating the journey. The film follows Saraya (Florence Pugh) and her brother Zak (Jack Lowden) Knight who have been training as professional wrestlers since they were kids by their wrestling parents Ricky (Nick Frost) and Julia (Lena Headey). Their dream? Going to the WWE, and eventually they get a call to try-out for them, and head to WWE’s developmental program, NXT. However, when Saraya is chosen over Zak, Saraya goes to Orlando to begin her training and Zak has to stay behind to figure out what do now that his dream can no longer be achieved. Paige’s underdog story then begins through trials and tribulations. Fighting with My Family has your basic underdog sports formula we’ve seen before, expect this time it’s done through pro wrestling. Paige wrestles – pun intended – with being different around the other potential contenders, dealing with the drama with her brother and eventually reaching the dream she wanted in the grandest way possible. This isn’t necessarily a negative toward the film, considering it is what you expect in this kind of story, but it is just a bit of a shame that Merchant went the formulaic route. That goes double considering Paige’s story is much more than what we get onscreen. Again, being a wrestling nerd and knowing her story, it was a shame to see some things taken out or completely ignored. Of course, that’s not to say that everything in the movie is a lie. It is still Saraya’s story, but having her just be dropped into the crazy world of the WWE is far from what happened. Regardless of all that, Fighting with My Family is still very good, and most of that comes from the cast. Merchant puts the weight of the movie squarely on Pugh’s shoulders and she carries it with ease. She’s able to bring everything the story requires from the drama, to the humor to even some for the ring work she was allowed to do. Jack Lowden as Zak is equally great, and the chemistry he and Pugh have is fantastic, and makes the two easily believable and easy to root for that we become almost immediately invested in both of their journeys. Supporting role wise, I wish we had seen a little more of both Nick Frost and Lena Headey. They’re in it enough for the story the film is trying to tell, but still having those two in your movie, and not having them in it a little more is a bit of a bummer. Vince Vaughn’s Hutch Morgan – a combination of different people like Norman Smiley, Dr. Tom Prichard and Bill DeMott, at least according to Paige – balances the line between a hard-nosed, nonsense coach and giving Saraya enough to motivate her, but still being a hardass. Finally, for those worried that Dwayne Johnson would overtake the film, don’t worry, he’s only in about three or four scenes, and we’ve seen most of them in the trailers and TV ads. All in all, Fighting with My Family is an underdog story we’ve seen before but in a different sport that most people have either fallen out of love with or still follow to this day. That said, Stephen Merchant’s direction and balance of drama and humor is spot on, plus the cast keep you invested from start to finish. 17 years ago – yes, 17 years! – we saw a virtually unknown Australian actor take the role of the fan-favorite X-Men Wolverine in Hugh Jackman. While people had their doubts at the time – some still do – Jackman proved himself to handle the character well, and has earn the respect of many fans over the years. So when it was announced that Logan would be Jackman’s last go as Logan aka Wolverine, it was fair to say it has been the end of an era. So, was Jackman’s last ride worth it and the perfect way to send off Jackman? Yes, yes it was. Set in the year 2029, mutants are almost all but extinct and there hasn’t been a mutant birth in some time. We find Logan (Hugh Jackman), who is now going by his birth name, James Howlett, as a limo driver in Texas to raise money. After long night he goes across the border to an abandoned facility where he hides and cares for an old and ailing Professor Charles Xavier (Patrick Stewart) with the help of another mutant, Caliban (Stephen Merchant). 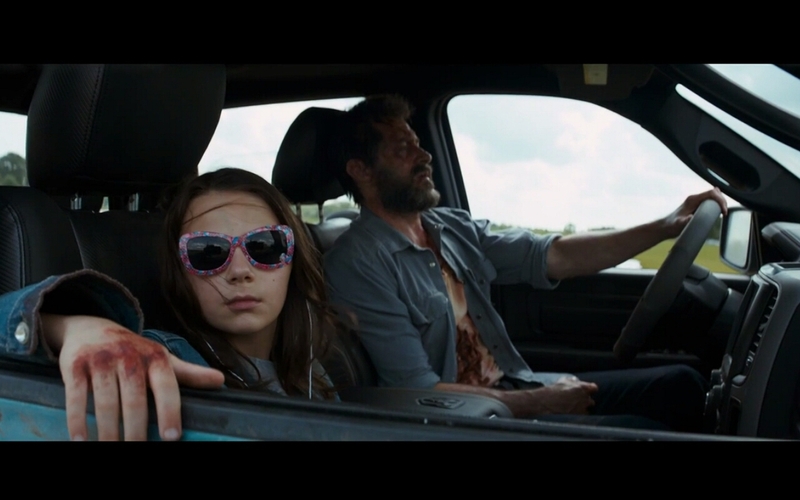 Before Logan can gather enough money to buy a boat so he and Charles can live out in the ocean, they cross paths with Laura (Dafne Keen), a young girl who is very similar to Logan in almost every regard. Now all together, they must run from a military force called The Reavers, lead by Donald Pierce (Body Holbrook) and a scientist in Dr. Zander Rice (Richard E. Grant) that are after Laura and will do anything to get her back. While the character, of course, originated in the comics and has appeared in every X-Men film and now has three solo films in what are essentially comic book/superhero films, Logan is a whole – no pun intended – animal altogether. Not only is the film rated R, and boy does it embrace that rating – seriously, wow – the film doesn’t feel like a comic book/superhero film. It actually comes off more like a neo-western and it’s better because of it. Instead of focusing on some Earth-ending event, it focuses mainly on Logan, the man, and him protecting his girl he hardly knows in this bleak future, and finally coming to terms with his mortality. We’ve seen the mortality question come up before, but we see it more here. And it is that reason while I think so many love this movie. 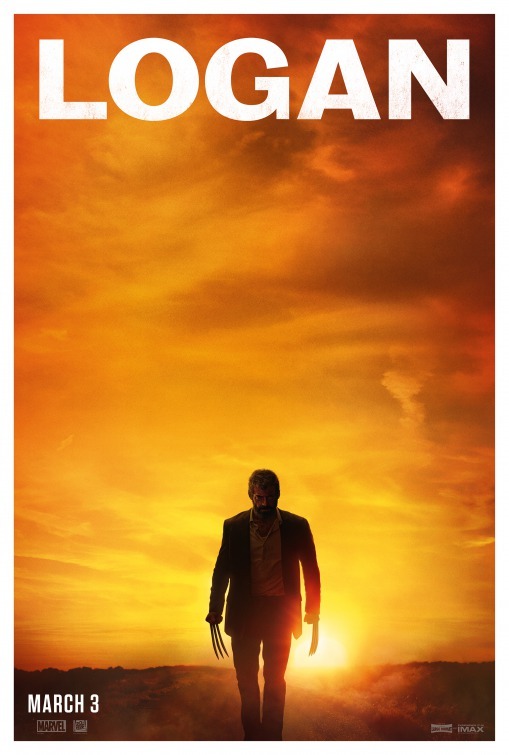 Director James Mangold could have easily put some Earth-ending even here, but he didn’t. He knew who the star in this film is, and what fans have been dying to see, and he finally delivers it. Hugh Jackman has already played version of Logan/Wolverine we’re use to, but his performance in Logan is something different. We see him finally beaten down and a broken version of himself. He’s not healing like he use to, his drinking a lot and cuts himself off from the world. 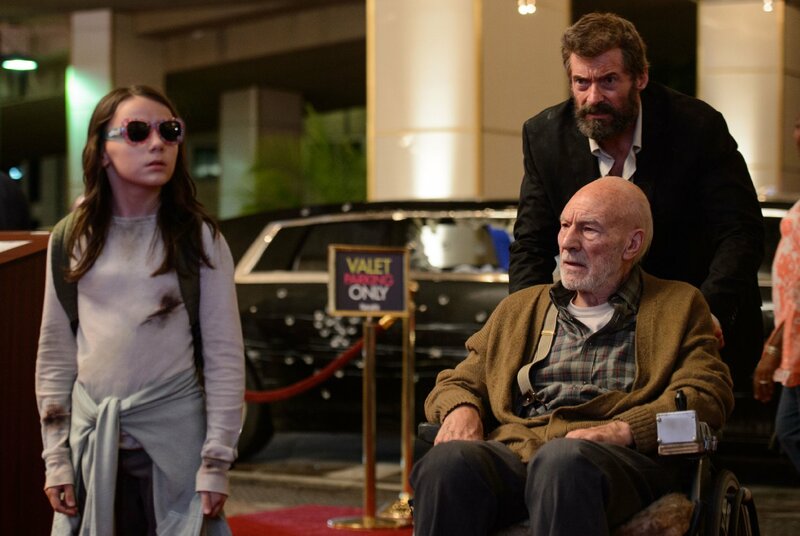 Not only that, he has to help Charles Xavier (Patrick Stewart), who due to his old age, his powers have become a bit unstable, but the chemistry between Jackman and Stewart in the film is the best we’ve seen. Stewart is finally able to cut loose and not worry about coming off as a mentor or professor and instead tells everything how it is. Seeing the two together at this stage in their lives makes the film even better, especially knowing that Stewart is also bowing out after this makes his performance equally bittersweet. However, if you want to talk about casting, you have to talk about Dafne Keen as Laura aka X-23. Making your film debut is always tough, but making your film debut in Logan as a badass killing machine who is mute is probably tougher. Keen will definitely be a fan-favorite walking out of the film, and not just for being badass but the fact that she can express so much of her emotions into a simple stare. I don’t know where director James Mangold and the casting directors found Keen, but I can’t wait to see what she does after this. Believe me, we’ll be seeing a lot more of Keen in the future. However, despite the great casting from the good guy side – which also includes Stephen Merchant’s Caliban – the bad guy side of the spectrum falls apart fairly quickly. Even though the film isn’t about the villains, and more about Logan, is doesn’t mean the villains should suffer. Boyd Holbrook does a descent job as the head of the Reavers, Donald Pierce, but his smooth-talking persona fades away and is just another henchmen. Finally there’s Richard E. Grant, a scientist who has a connection to Laura, but his character isn’t in the film enough to really justify him really being there. He does play a part that is pivotal for the ending, but that’s really it. All in all, Logan is one of the best X-Men and best solo Wolverine film there’s been. It’s a beautifully done character film that ends the era of Hugh Jackman’s Wolverine in the best way possible. A brutal one, but a respectful and proper way to send off Hugh Jackman and Patrick Stewart, while introducing Dafne Keen. Logan is one of the films that will have you talking afterwards and have you thinking back at how great it is.